A suspected cable thief has been electrocuted as he made attempt to vandalise a transformer in Abuja. The middle-aged man, eyewitnesses said, was yet to gain full entry into the transformer when he got electrocuted. The incident occurred by a popular eatery on Kalabari Road in Karu, a satellite town in Abuja. The WHISTLER learnt from one of the eyewitnesses, Dave, the suspect likely had ascended the transformer at about 4am on Wednesday, amid power outage in the area. The yet-to-be identified cable was out of luck as no sooner has he climbed the transformer pole when power was restored, leading to his death. “I leave a few metres from the scene of crime, and I can tell you that this thing happened around four in the morning (Wednesday). “What attracted my attention to this place, was the loud noise, which followed the act of sabotage by the man, who is now lying stone dead. “He took advantage of power outage around the area, to carry out the wicked act, which ended up swallowing him in the process. “The current from the high-tension wires, just dried him up as soon as he was hit”, the witness said. 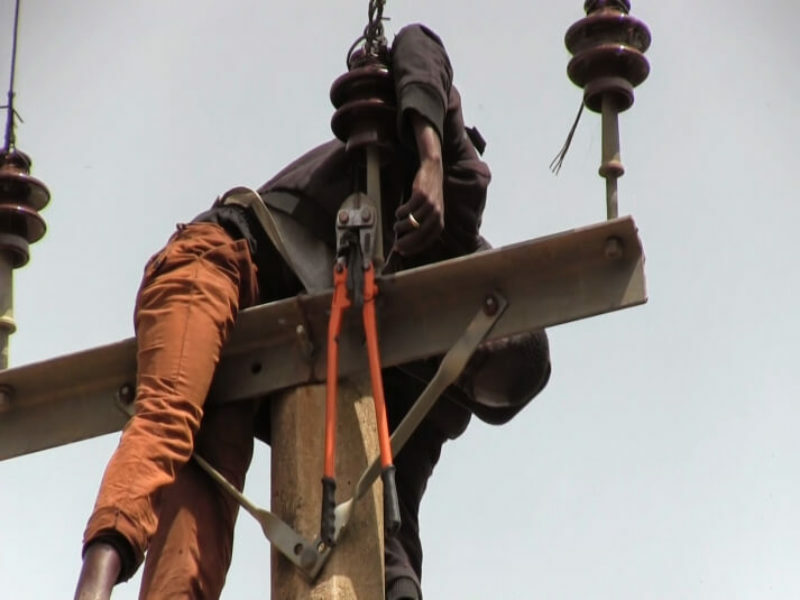 Another eyewitness, who refused to give his name, said officials of the Abuja Electricity Distribution Company (AEDC), whose office is located less than five hundred metres from the scene, brought down the body. They were said to have been accompanied to the location by some policemen from the Karu Division. “The man came to steal transformer cables, when there was no light, but power was suddenly restored. “AEDC officials came here with police personnel, to take the lifeless body to the police station,” the eyewitness said. A police officer, who spoke with our correspondent on the development, confirmed that the charred remains were brought to the station. “The body is in our station right now. He climbed the pole in the morning, and was electrocuted”, the Inspector said.